When she heard I was staying in Greve in Chianti, she became animated and made me promise to dine at (which roughly translates from Tuscan as "only meat"), Dario Cecchini's restaurant. Dario is a well known butcher in the neighboring village of Panzano. 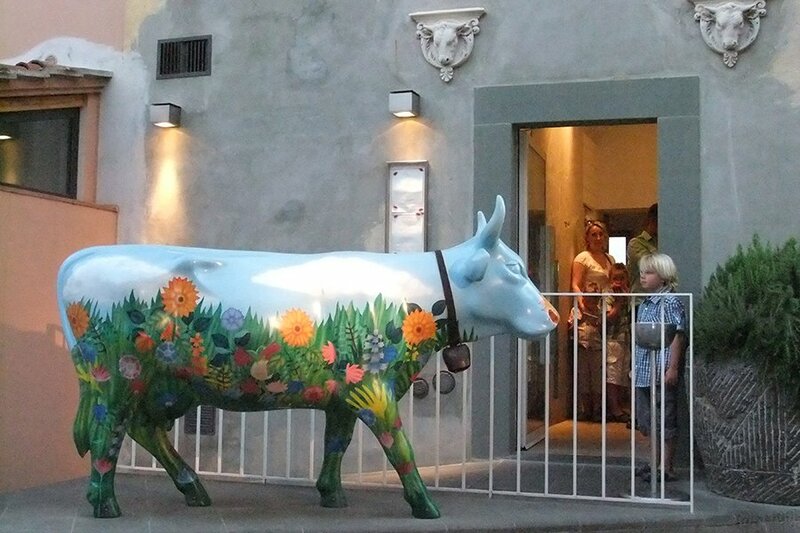 He has two restaurants opposite the shop, Solo Ciccia and Officina della Bistecca ("Workshop of Beef"). She'd been recently and described a free-flowing, anything-can-happen kind of evening: multiple courses of delicious meat dishes intermingled with a party and rock musicians. In a butcher's shop? Really? I did wonder. You can follow her on Instagram at . She travels for the thrill of new people, places, and experiences. But mostly for the food. She believes no mealtime must be wasted, least of all in mediocrity.